Hello everyone. 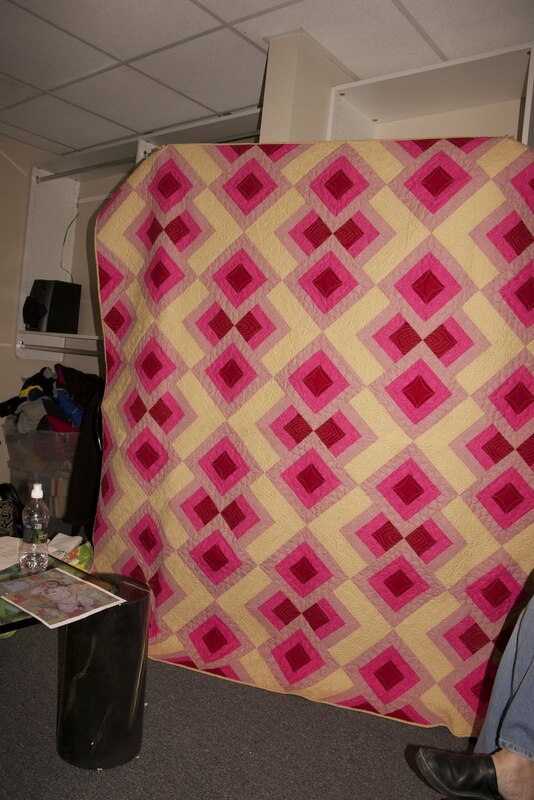 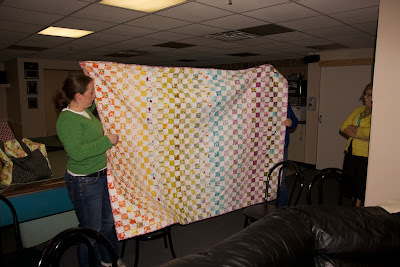 I'm back with another post full of photos of the lovely members of the Philly Modern Quilt Guild. Last week's meeting saw several new faces, and some old friends who returned after a bit of a hiatus, so it was a lot of fun. 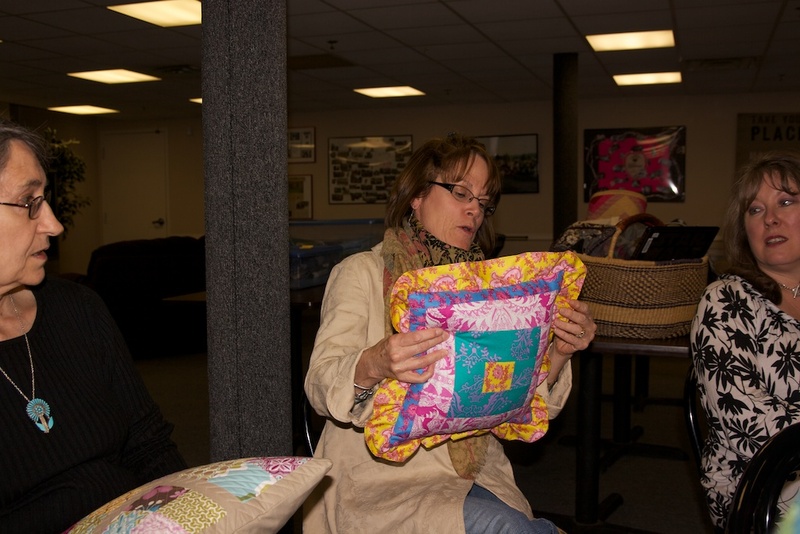 The main event was a swap of pillows. We also were lucky enough to have Jessica Levitt join us at our meeting. 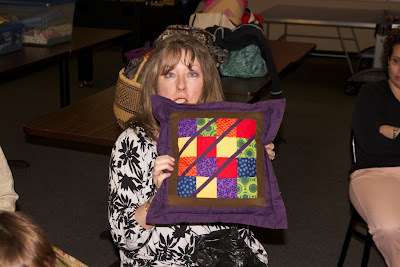 She brought some yardage of her new line, Kingdom, for us to fondle. 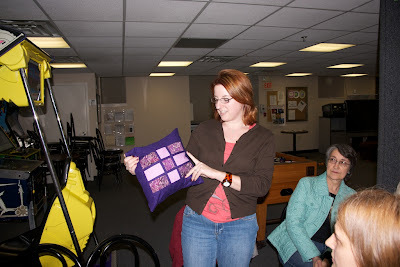 We also passed around samples of various types of batting and I think everyone found a new favorite or two! 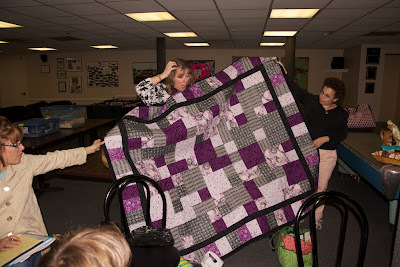 Personally, I'm seriously thinking of running out and buying a whole bolt of something because I like the idea of having a ton of batting on hand all the time! 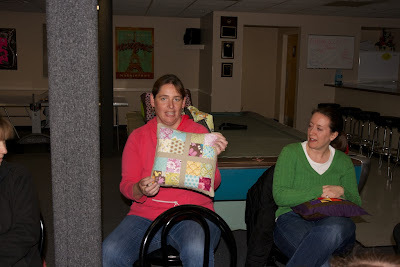 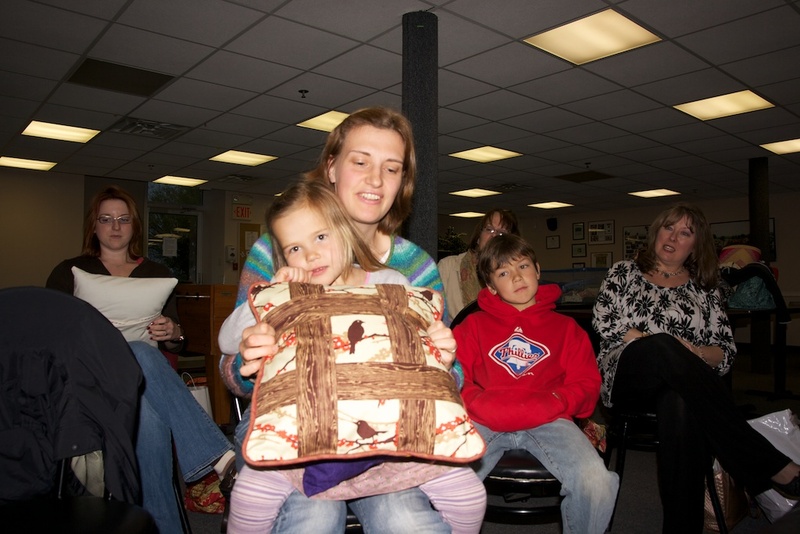 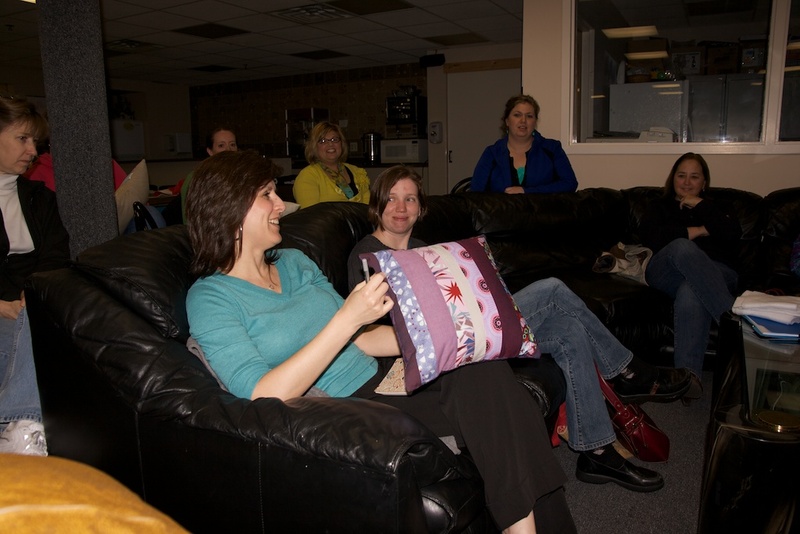 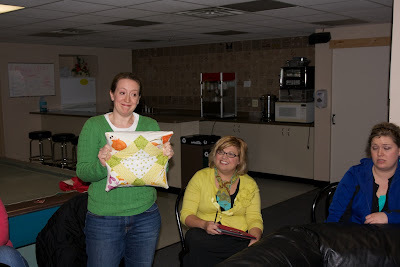 Here are some photos from the pillow swap and a couple from show and tell. 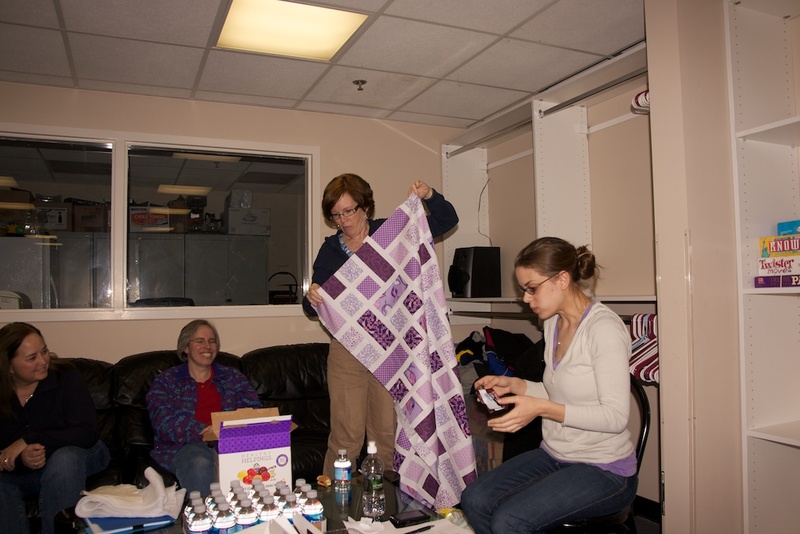 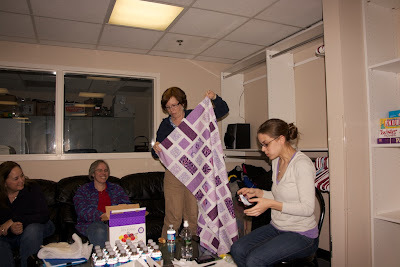 Denise's purple and black Take 5 quilt.